“We own a rental house in an agricultural area near Lemoore. Two years ago, a couple who work at the Naval Air Station rented the property. As is gets dusty – especially in this drought – the lease required changing the A/C filter every month and having the system serviced twice a year,” “Bert” explained in an email. “The tenants apparently did neither. We just got a call from an air conditioning company explaining that they were called out because the system had quit working and will require close to $3,000 in repair charges. The reason for the failure was a clogged return-air filter which so restricted airflow, that the compressor and related machinery basically burned out. “When was the last time you changed your air conditioning filter?” Stephen Stout and his staff ask their customers every visit for A/C service or repair. 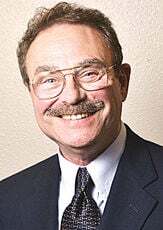 As president of Hanford-based Kennies Indoor Comfort Specialists, he has heard the same answer countless times, and on occasion, having to deliver very costly bad news directly related to the A/C filter. “At least 10 percent of our service calls are related to clogged filters — like your Lemoore reader — and the resulting costs can range from a routine service call to several thousand dollars for a major repair, such as replacing a compressor, fans and related equipment. “People tend to forget the last time they changed the filter, particularly when they buy so-called 90-day filters. They may last 90 days for places where there is little run time or where the air is fairly clean, but in dusty, or farming areas and places affected by drought, there is no such thing as a 90-day filter,” he emphatically tells You and the Law. “From our perspective as contractors, the main purpose of a filter is to protect the equipment and when changed as often as is necessary, the fans, compressor and other equipment are kept clean, prolonging system life significantly. You do not need an expensive filter to do this. Any entry-level filter will be just fine. “Filtration is an extremely personal choice,” he points out, “where some people benefit greatly from increased filtration, while others do not realize any benefit, and can actually wind up with a higher electrical bill placing unnecessary stress on the A/C equipment if they buy a filter that gets the smallest particles and fail to change it often enough,” Stout concluded. Can we both protect our heating/cooling system and greatly improve indoor air quality? Let’s say we have issues with allergies, pet dander, smog, or maybe someone at home smokes, but we do not want to go out and buy special HEPA air cleaners to install in each room. As we learned from Minneapolis-based Jay Elepano, Senior Product Manager for Indoor Air Quality at Honeywell, the answer is, “Yes, indeed, today’s filter technology can deal with those issues if you do you do your homework, understand how filters are rated, shop carefully and change the filter on a regular basis. “When shopping for a filter, you’ll see a MERV rating or its equivalent, and this stands for Minimum Efficiency Reporting Value. The higher the number, the better the filtration, and for residential use, they go from 1 to 16. “While dust will be reduced, filters with a MERV rating from 1 to 7 are meant primarily to protect your heating/cooling system,” he points out. “Most home heating and cooling systems are designed to only require a MERV 4 filter, and the reason is that it’s less likely clog if the homeowner forgets to replace it on time, but waits an extra month or two. “Dennis, for your readers who live in areas with very poor air quality, such as Los Angeles — or someone at home smokes — you need a MERV 13 filter as it captures these sub-micron particles. “37 percent of homeowners are aware of having serious indoor air quality issues in multiple rooms, and they have two ways of addressing the problem. Either purchase two or more portable air cleaners, or use MERV 13 filters which is by far the most cost effective, whole-house solution. “But that said, mark your calendar to change the filter on a regular basis, as a MERV 13 filter is not forgiving when saturated,” Elepano cautions. And Bert’s tenants? Let’s hope they have a large bank account. Dennis Beaver Practices law in Bakersfield and welcomes comments and questions from readers, which may be faxed to 661-323-7993, or emailed to Lagombeaver1@gmail.com. Also visit www.dennisbeaver.com.